Meets Bugs: smart, sarcastic, sixteen and stuck in a small town without a driver’s licence. Bugs has been best mates with Jez forever; they’re always been Jez and Bugs, Bugs and Jez. That is until Stone Cold, the new girl arrives in town. The year was already going to be a challenge without adding spoilt, bitchy Stone Cold to the mix. Why would anyone want to be mates with her? But things are never as they seem on the surface – not the picture-perfect postcard views of Taupo, not the drama-queen antics of Stone Cold, not the quiet brooding of Jez. Not even Bugs. Now, as the future closes in, each will struggle with expectations: either trying to live up to them or trying to live them down. The central character and narrator is Bugs, a sixteen-year-old Māori girl that has aspirations to study law at university. Bugs’ best friend is Jez. Both are children of solo mothers. Bugs’ mother is hard working and works double shifts as a cleaner at a hotel to provide a better life for Bugs. Jez’s mother on the other hand can be neglectful and has had a succession of dead-end boyfriends, including some who have been abusive to Jez. It has always been just Bugs and Jez that is until Charmaine arrives in town. Jez quickly takes a shine to Charmaine and Bugs becomes her friend by default. Although if it wasn’t for Jez Bugs wouldn’t want anything to do with Charmaine, whom she nicknames Stone Cold. She thinks of her as spoilt and does not like how Charmaine does not appreciate how privileged she is. 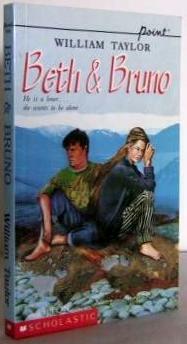 The novel is set in Taupo, New Zealand. I grew up in Taupo and this is the first novel I have read set in the small town I grew up in. I felt a strong connection to it. The author named the street my parents have two businesses on, the geothermal area behind my primary school was referenced, I had eaten in the airplane above the McDonald’s playground and I had walked many of the same streets the characters walked. This coming-of-age story tackles the issues of Māori achievement in the education system, cultural identity, domestic violence, alcohol and drug use, and doing what or going against what society expects of you. A word of warning the novel features strong language and sexual references (nothing explicit). Bruno is an adult student at Gray’s Valley High School. A former streetkid, he has returned to look after his aged, blind father on a rambling, untamed farm. Part Maori and tough – and with a reputation to match – it’s not hard for Bruno to keep his distance . . . which is just how he likes it. Beth is city born and bred. She has come to spend her senior year at Gray’s Valley High, staying with her aunt. Self-assured and attractive, Beth could easily be a popular figure in the local teen scene – but it is apparent that something is troubling her. They are as different as chalk and cheese – so why does fate seem to keep throwing them together? Beth Paterson has transferred to Gray’s Valley High School from the city and is staying with her slightly eccentric aunt and high school art teacher Stella. The novel opens with Beth at a typical high school pool party. She did not want to attend the party but Stella pressured her in the hope that she will make friends – little does Beth know Stella arranged Beth’s invite. Not really wanting to be there Beth takes up a fellow classmate Vic’s offer for a ride home. Vic has his own motives for getting Beth alone and makes a pass at her. When she rejects his advances they struggle and he pulls the door handle off the car trapping her. A motorbike appears out of the darkness with dead wild big draped over the handle bars. A mysterious rider wearing a black balaclava has potentially saved her. This mysterious rider is Bruno Petrie. Beth asks around about him and learns he is an adult student who returned from the city to look after his father Archie. Bruno has quite the reputation as a violent thug. Despite frequently butting heads something keeps bringing Beth and Bruno together. Beth has a secret past. I’m not going to spoil it but I suspect many readers may pick what it is. The novel is written in third person. For the first few chapters until Beth and Bruno meet, Taylor alternates chapters between Beth and Bruno’s perspective. It’s coming on 23 years since Taylor published this novel and its characters and themes are still relevant to teenagers today. If published today they only difference would probably be that the characters would all have mobile phones and be on social media. There is a moderate amount of adult content including sexual assault, low level violence, minor coarse language and alcohol use by the teen characters. Beth and Bruno would be suitable for junior secondary school (high school) students.